Several years ago, I was brokering salary negotiations for an in-house position. The general counsel was excited about the candidate, the candidate was very interested in the company and there was good chemistry between the two. The general counsel made an offer that was near the top of the range that was originally communicated to the candidate. Afterwards, there was some back and forth negotiation; but in the end, the GC was unwilling to budge from the top of the range he originally stated; and the candidate was unwilling to go any lower than $10,000 above the top of the range. It was unfortunate that the candidate and the GC were unable to come to terms during the attorney compensation negotiations after investing so much time in the process. The candidate had the skills, experience and credentials to warrant the salary he was seeking. Given the other salaries in the law department, however, there was no way the GC could meet those demands. 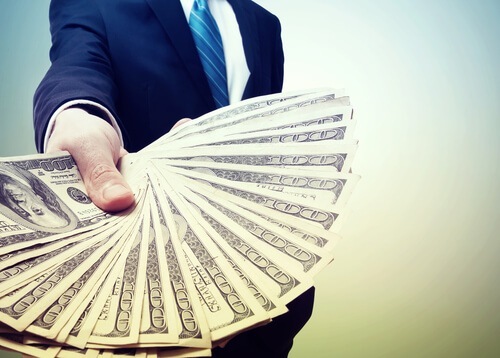 While in-house attorney salaries are more negotiable than salaries at firms with a lock-step compensation plan, there are real limits to what in-house attorney pay can be negotiated. When interviewing for an in-house position, many associates do not realize these limitations, particularly associates at large firms where salaries increased 40 percent this year. In the Boston area, in-house jobs have traditionally paid less than jobs at major firms and this remains the case. Despite some salary inflation which has spread to in-house jobs, most of the lawyers leaving large firms for corporate positions can expect to earn a base salary ranging from the low- to mid-100s. There are contract counsel who may be earning somewhat less (even as low as $50,000) and some general counsel who have a base salary that exceeds $200,000; but for the most part, in the Boston area, in-house salaries fall in a bell curve between $75,000 and $200,000. For most associates coming out of large firms, this means that going in-house will involve taking a big pay cut. But just how much of a pay cut depends on a variety of factors. What follows is an attempt to give you some guidance in evaluating what salary an employer might be willing to pay an in-house lawyer. Click Here to Learn What In-House Attorney Positions Pay. What Do Comparable Positions Pay? The first step in any counsel salary analysis should be to look at comparable jobs. It is important to compare apples to apples when looking at comparing in-house attorney pay to pay in other jobs. This is no easy feat. When looking for comparables, you should be looking at positions in companies that are in the same industry and at the same stage of development. Also, make sure you are comparing counsel salaries of individuals with the same job responsibilities and credentials. Be sure to look at the benefits packages as well. Contributions to retirement plans, health insurance which is largely covered by the employer and other similar benefits can add up. Generally, expect higher salaries in the financial services sector than in the retail sector. You can expect a higher percentage of your compensation to be equity at most nonpublic technology companies. Another factor in looking at comparable positions is the size of the company. A company with $1 billion in sales is more likely to pay higher salaries than a company with $10 million in sales. If you do not know any lawyers in the industry in question, you can always resort to cold calling. Find lawyers with a comparable amount of experience and ask them if they would be willing to participate in a confidential salary survey. Tell them you will report the results to them. 1. How are lawyers regarded in the organization? In a company where lawyers are considered part of the senior management team, you can expect salaries to be higher. In a company where lawyers merely review decisions that management has already made, you can expect salaries to be lower. Look at the reporting structure (e.g., does the GC report to the CEO? CFO? Another manager altogether?) This can give you clues as to how lawyers are regarded in the organization. 2. What credentials does the employer require? If the employer only wants to hire attorneys with large-firm experience, it is reasonable to expect larger salaries. If the company needs very specialized training (e.g., patent prosecution), expect the same. If the employer only needs two years of experience, do not expect the salary to reflect your six years of experience. 3. What are other attorneys in the organization earning? In many organizations, it is this factor that sets real limits on what the organization can offer a new hire. Unless you are coming in at a higher level than attorneys already on staff, you should not expect to be offered a salary that greatly exceeds the range of existing salaries. While it is not always possible or practical to get this information (e.g., what if there is only one other attorney in the department), there is nothing wrong with asking what the range is if there are a number of assistant general counsel in the department. The general counsel salary can vary. 4.What are salaries in the organization for comparable positions? Don't expect to earn more than the CFO or other members of the senior management team. 5. How profitable is the company? 6. Is there an equity and/or bonus component on top of a base? Equity is usually offered in lieu of compensation, not in addition to compensation, particularly at less established companies. If the stated bonus range is 15 to 25 percent (quite realistic at some companies), understand that you will be giving up something in your base compensation. Larger organizations tend to have less flexibility even with respect to intangibles. Larger organizations have to worry about setting precedent with other employees. In addition, realize that the position you are applying for may not be worth that much to the company (regardless of the caliber of your work). Remember that you want to earn a fair salary that is at the high end of what is reasonable. If you walk away from a salary negotiation with a salary that is inconsistent with the job responsibilities or the pay scale of other individuals in the organization, you will have problems down the road. Either the management or other individuals in the organization will resent you. Make reasonable arguments based on your research and the factors listed above if you decide to counteroffer. Demonstrate why you think a higher salary is justified. But don't be greedy! It will not help you in the long run.